Stories of Change Around the World. Do you coexist for peace? Education? To make the world a better place? We want to know about it. 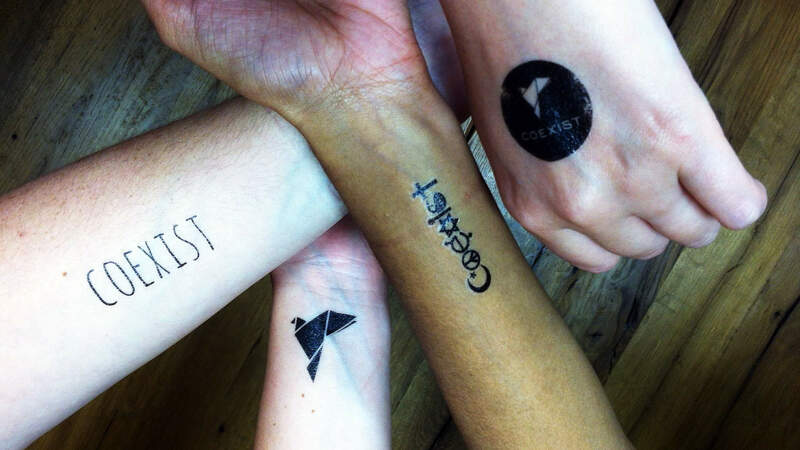 You could win a free Coexist t-shirt just by letting us know why - or how - you coexist. Is it the bumper sticker on your car? What about a tattoo? Do you volunteer in your local community? Do you buy fair trade products? Tell us. Show us. It’s easy. We’ll pick two winners a day starting Monday, August 26 and ending Friday, August 30. The more you share, the more chances you’ll have to win. Don’t forget to follow us on Instagram and Twitter to find out if you’re a winner. Of course you could also go online to our store to order a t-shirt or check back for our US farmers market schedule so you can grab one in person. We're all about complete transparency. Add your email address and we'll send you stories of the impact our projects generate around the world.